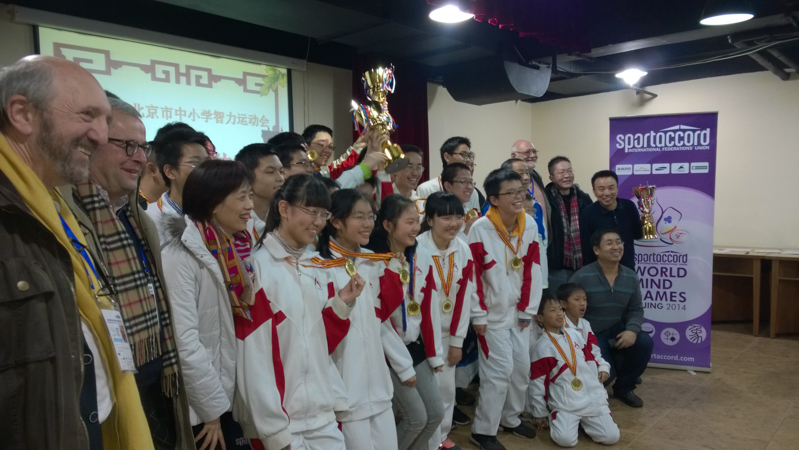 The teams event finished on Saturday 13th December, with Israel beating USA comfortably in the Open Teams. The victorious Israel team of Alon Birman, Lotan Fisher, Ophir Herst, Ilan Herbst, Dror Padon and Ron Schwartz are pictured left. 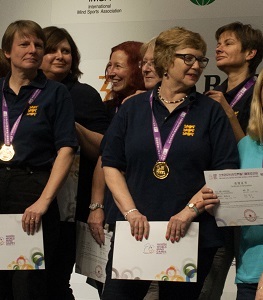 England (pictured right : Sally Brock, Fiona Brown, Heather Dhondy, Catherine Draper, Nevena Senior and Nicola Smith) won the women’s teams by just 3 IMPs on the very last board, with Netherlands taking the Silver Medal. 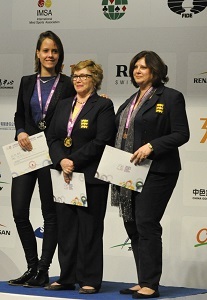 Bronze medals went to Monaco in the Open Teams and USA in the Women’s event. 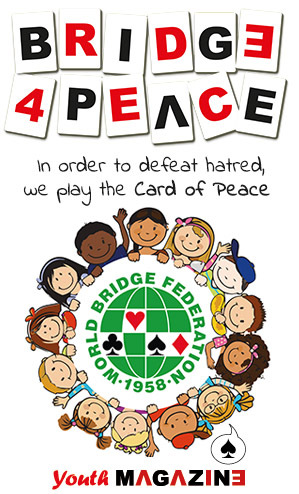 Four bridge teams in each category (Open and Women) were invited to participate in this extremely prestigious and high level tournament. The individual Championship saw a clean sweep for the European players! 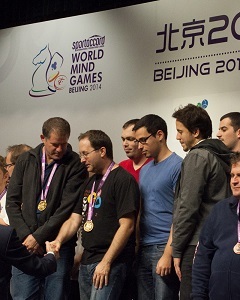 The European players swept the board in the Individual Championship at the SportAccord World Mind Games. In the Open Geir Helgemo (Monaco) took Gold and Tor Helness (also Monaco) together with Ophir Herbst (Israel) tied for the silver medal. 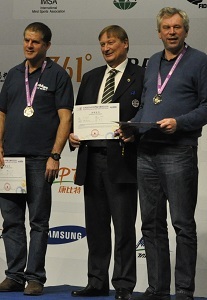 The picture shows Yves Aubry, Vice President of the WBF accepting the gold medal on behalf of Geir Helgemo who unfortunately had to leave for his plane. In the Women’s Pairs after a close finish, Nicola Smith (England) won the Gold Medal, with Marion Michielsen (Netherlands) a close second and Catherine Draper (England) in the bronze medal position. 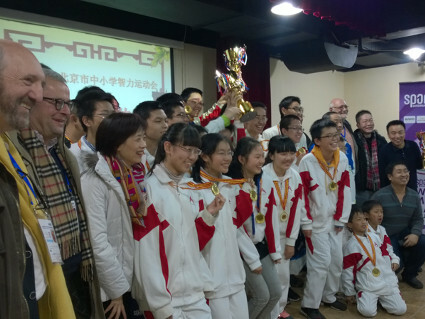 During the afternoon on Saturday, the WBF President, Gianarrigo Rona together with World Champion Wang Wenfei and members of the WBF Executive Council were invited to present the medals and trophies to the bridge winners of the Beijing World Youth Mind Games. The students were very enthusiastic and obviously enjoyed the visit by the officials as can be seen by the picture.